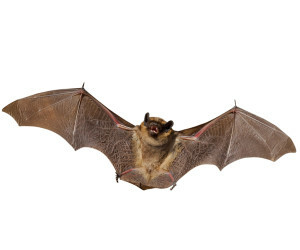 The only way to protect your home or cottage from bats is to completely seal the structure. Bats can fit into holes 1/3” in diameter; basically the size of a baby finger. The seal is warrantied for one year, at which point you may choose to have the work re-inspected at a cost of 20% of the original job cost. How do I know it’s a Little Brown Bat?